Redmi Y1 Review in English: Chinese company Redmi launched Redmi Y1, a new smartphone for selfie lover, in India. The most special feature of this smartphone is 16 MP front camera, so you can take good selfie. This smartphone comes in two variants, with 3 GB of RAM and 32 GB internal memory and 4 GB of RAM and 64 GB of internal memory. The price of a smartphone with 3 GB of RAM is Rs 8999 and the 4 GB RAM variant is priced at Rs 10999. Redmi Y1's body is plastic. Redmi Y1 build is a bit weak in terms of quality while you get the metal body in Redmi 4. However, due to the plastic body, the weight of this smartphone is light. Corning Gorilla Glass 3 has been protected for its protection. In this phone you get 5.5 inches of 720p HD Display. Redmi Y1's display is quite good and sharp. You will not have any complaints from the display of this smartphone. Even in sunlight, you will not have any problems in seeing it in its display. Its viewing angle is also quite good. Redmi Y1's camera is the only highlight feature. In this you get a 13 MP Rear and a Front Camera of 16 MP. The performance of both cameras is quite good in the day and in good light. But in low light you will not get as good photos. With Front flash you get just fine photos. Redmi Y1 has a 1.4 GHz Octa Core Snapdragon 635 processor, plus you get 3 GB of RAM and 32 GB internal memory or 4 GB RAM and 64 GB internal memory. With whom you will be able to relax multitasking in daily use. All types of heavy games are also easily run on this phone. This phone does not even have much heating issue. In Redmi Y1, you also get a separate dedicated memory slot in which you can put up to 128 GB of memory card. In this phone you get the version of Android 7.0 Nougat. This phone has 3080 mAh battery. This smartphone's battery backup is average, but you get to see good backups in Redmi 4. Redmi offers 1 day on Y1 normal use and 7-8 hours of backup on heavy use. In this you do not get the support of fast charging, so it takes about 2:30 hours to get full charge. 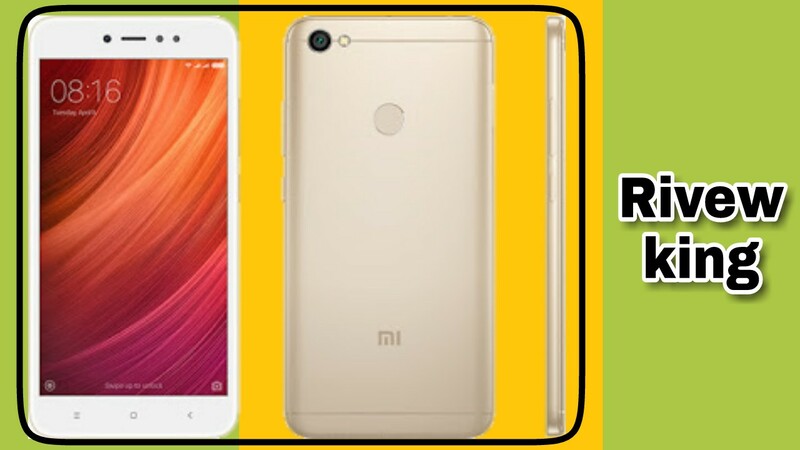 If you are a selfie lover and want a smartphone with a big display then you can take it or else Redmi 4 will be the best for you. We will give this phone a total of 8 stars out of 10 stars.